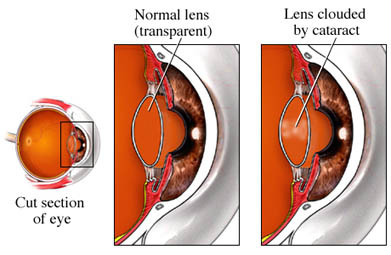 Cataract removal is a procedure to remove a cataract . A cataract is a clouding of the eye's lens. Cataract surgery. American Academy of Ophthalmology Eye Smart website. Available at: http://www.geteyesmart.org/eyesmart/diseases/cataracts/cataract-surgery.cfm. Updated December 11, 2017. Accessed December 14, 2017.